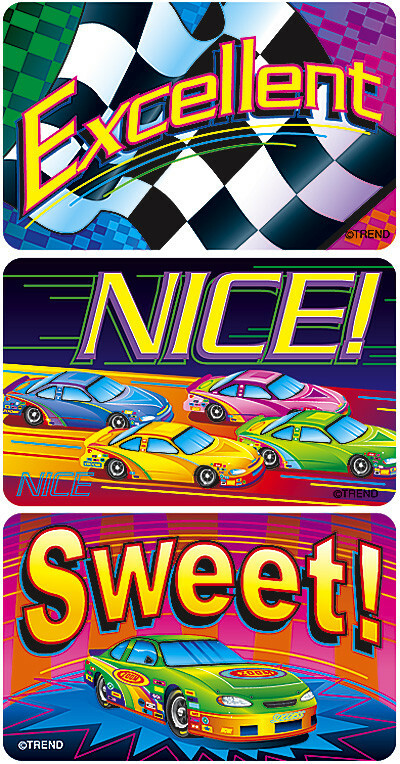 The coolest racing car stickers in town! The dynamic pictures and their jaw-dropping size will makes these the must have stickers at school! Positive statements on the stickers badges include Yes, Cool!, Excellent, Sweet!, Stellar and Nice!